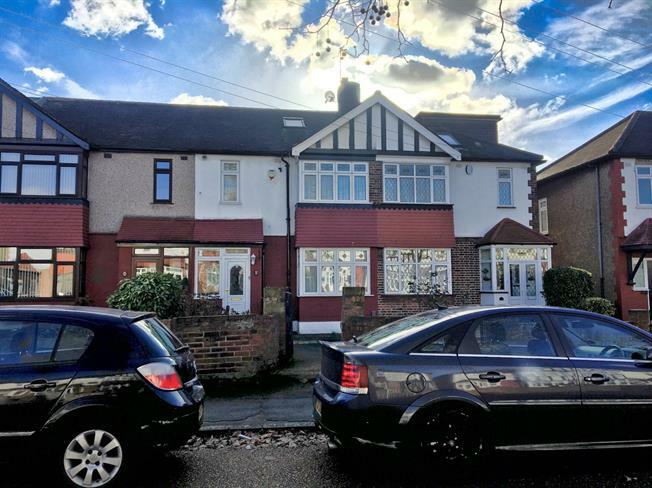 4 Bedroom Terraced House For Sale in Romford for Offers in excess of £430,000. Bairstow Eves are pleased to offer this three bedroom plus loft room mid terrace property, Ground floor: A spacious through lounge, shower room, kitchen/diner and rear extension. First floor: Three bedrooms, bathroom and separate WC, on the second floor is a loft room with WC facility. Externally there is a rear garden including a double garage. This property is close to local amenities, schools, transport links and the A12, an early viewing is highly recommended.